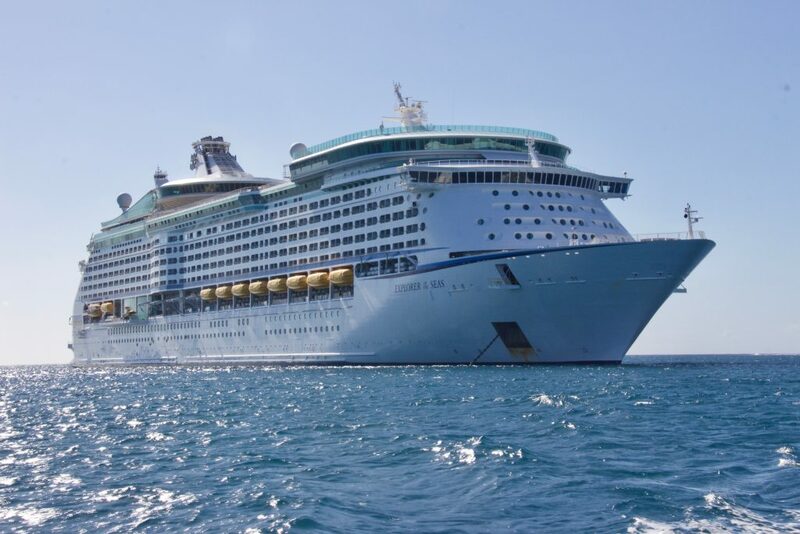 Around 20 million people each year will enjoy a cruise vacation. If you’re one of those people, you know how fun, relaxing, and luxurious a cruise vacation can be. But, do you ever wish you had a little more time at your port of call? 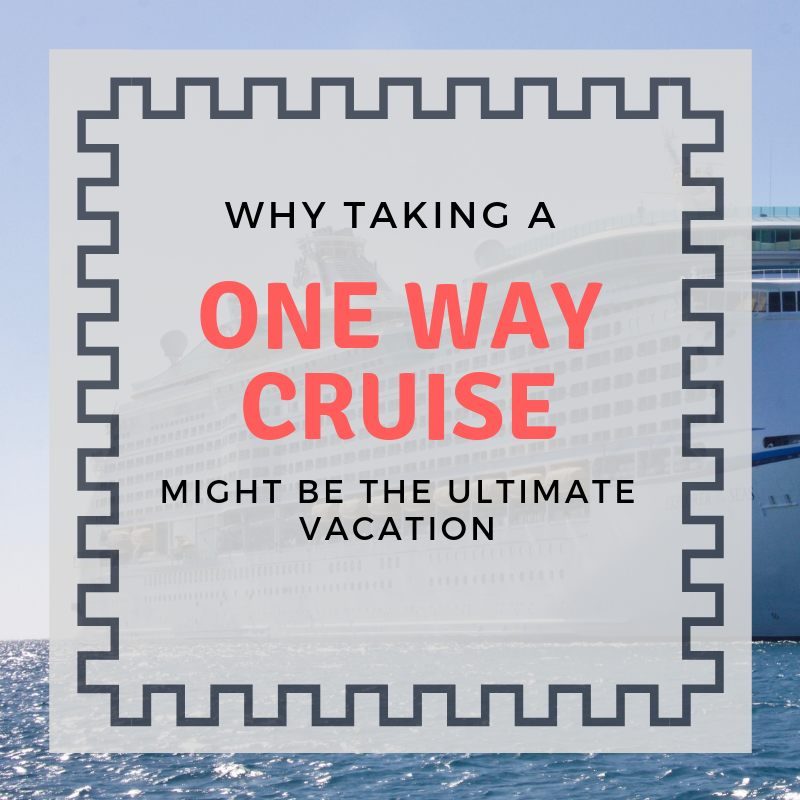 There are a lot of tips and tricks for getting the most out of your cruise vacation, but what do you do if you want to stay in port a little longer, enjoying your destination? A one-way cruise, or a repositioning cruise, may be the perfect solution for you. What Exactly is a Repositioning Cruise? Think of the cruise ship as an airplane. Your typical, closed-loop cruise route is like a roundtrip ticket. After your journey, it takes you right back to where you started. Whereas, a repositioning cruise is like a one-way ticket. You start at point A and end up at point B. Cruise ships change routes from time to time and have to get from one place to another somehow. Lucky for all of us, they often use that opportunity to take passengers along as well. 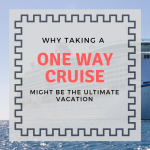 The downside is that not every port offers one-way cruises, and some may only be offered at certain points in the year, but if you plan your vacation well enough in advance, you should be able to find the cruise you’re looking for without any trouble. 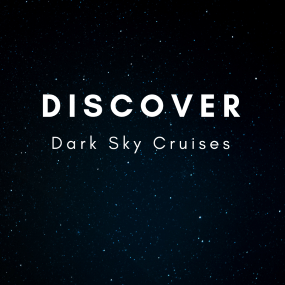 For the traveler looking to embark and disembark in the United States, you may look into a cruise that sees the Panama Canal. You can sail from Florida, tour the Canal, and arrive in Los Angeles where you can get spend a little time at the Santa Monica Pier, stroll down Rodeo Drive, or hike up to the Hollywood sign. Or, if you live in LA, you could plan your trip in reverse. 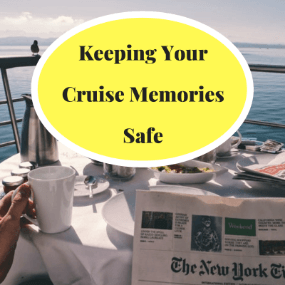 Fly to Florida, do your sightseeing beforehand, and take a relaxing, leisurely cruise home. Feeling a little more adventurous? 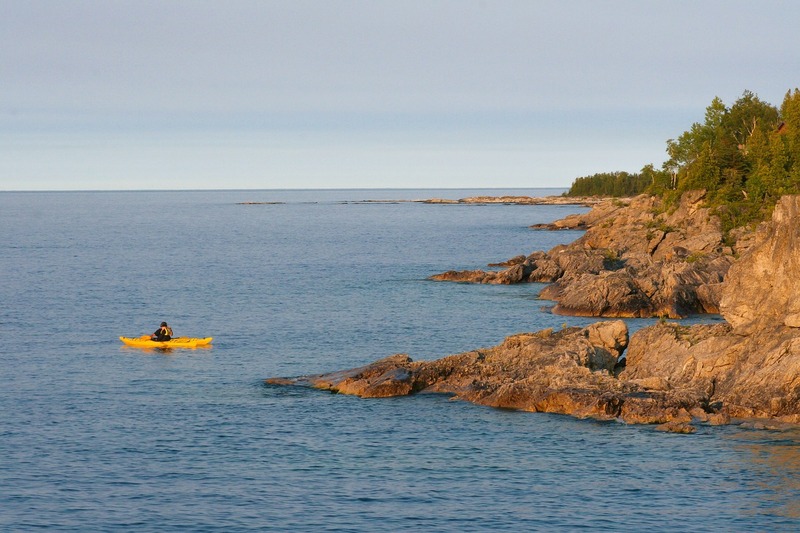 Try cruising from the U.S. to Quebec and spend some time in our neighboring country, Canada, before coming home. Get a taste of Old Quebec City by exploring the Petit-Champlain District, which dates back to the 1600s. Or, take a day to do a little whale watching. Feeling a lot more adventurous? Go for a transatlantic cruise. Get on the ship in New York, and sail across the ocean to places like Spain, France, and England. Enjoy the sandy beaches of Ibiza, a romantic gondola ride in Venice, or an enlightening walking tour in the historic streets of London. And for those looking for an especially exotic vacation, you could try flying to and from the cruise. Spend a little time in Hong Kong before hopping on a 13-day cruise through Southwest Asia over to Thailand where you can see some of the beautiful beaches in Phuket. Or get on the ship in Rome, and go for an Arabian adventure that sees you through Egypt, Israel, Greece and other places that many people only dream of seeing. Now, if you are a die-hard, veteran cruiser, you may enjoy the inclusivity of a closed-loop cruise but don’t worry. With the right planning, your sea-to-land (or land-to-sea) adventure can be just as simple to navigate. 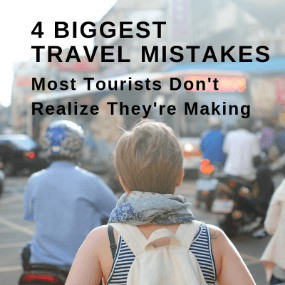 If you plan on partaking in any excursions or day trips while you’re visiting, you will have to take that into consideration. Book your reservations ahead of time if you can, or at least, get an idea of what you plan on doing and seeing. 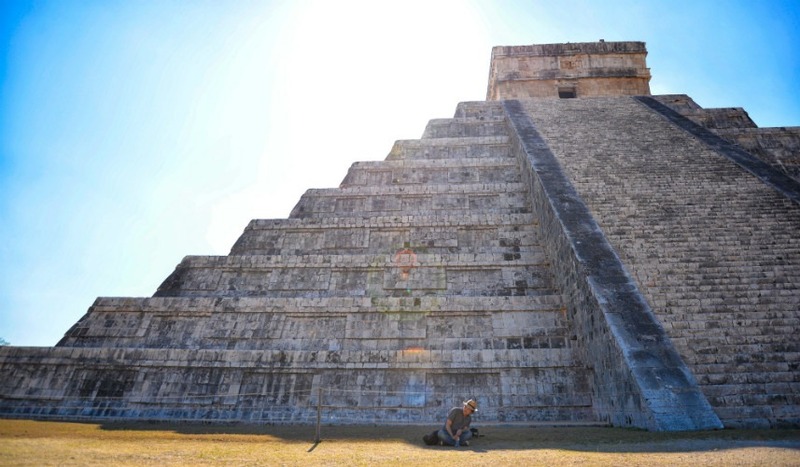 Then, brush up on the cultures that you’ll be visiting. Take the time to learn a few words in the native language, and watch the faces of the locals light up. Even just a simple “hello,” “excuse me,” “thank you,” or “have a nice day” is more than enough to win bonus points. But don’t worry if you won’t have the opportunity, you’ll find that many countries speak English in addition to their first language – and often, a couple more on top of that! Just make sure that your travel documents, safeguards, and necessities are in line before you go; that should be your main priority. Bring along a travel binder that holds copies of your passport and ID, travel insurance policy documents, trip itineraries, boarding passes, etc. Accidents happen, but we can try to be as prepared as possible. Ready to take the plunge? Go for it – adventure awaits! If you like the idea but just aren’t sure if you’re ready, start by acquainting yourself with both methods of travel. 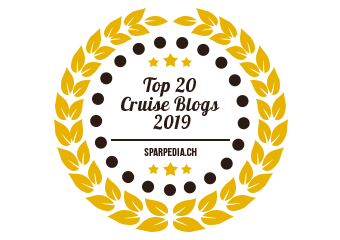 Try flying roundtrip to your next vacation, then try out the traditional cruise experience. Once you’re familiar with both modes of transportation, going half-and-half will be no sweat. Do your research, make your hotel reservations, plan your transportation, book your flights, and voilà! You are good to go. Bon voyage!